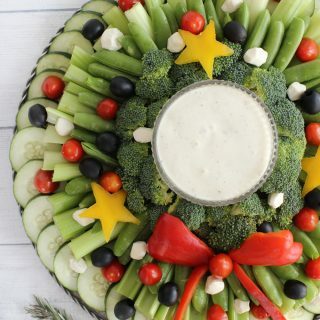 Cutest veggie tray wreath, perfect for any Christmas party or get together! 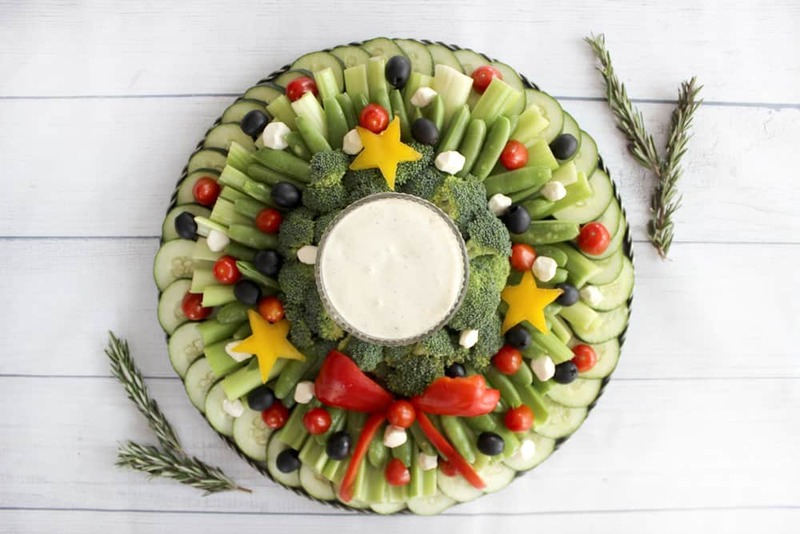 You guys know there is nothing I love more then festive food, and this veggie tray wreath is my new favorite. 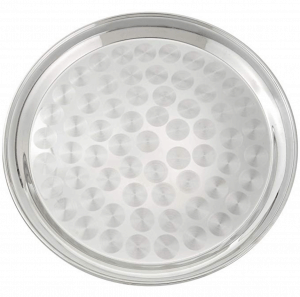 Not only is it beautiful, but it will instantly put you in the Christmas spirit. It was super easy to assemble, and it’s nice to have something healthy to bring to all those Christmas parties and gatherings! Whenever I am hosting company for dinner I always like to have a few things out that they can snack on before the main course so that everyone isn’t waiting on me with hungry tummies! 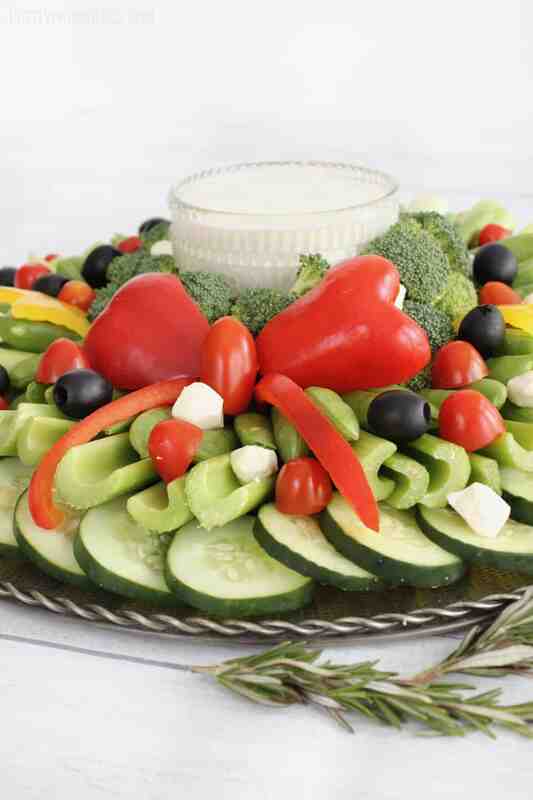 A veggie tray wreath is perfect for grazing before a meal, or just admiring on a buffet scape. Even though it is pretty simple, there was kind of an art to getting the wreath to look right! You ready to learn how I did it? Wash all vegetables and set aside. 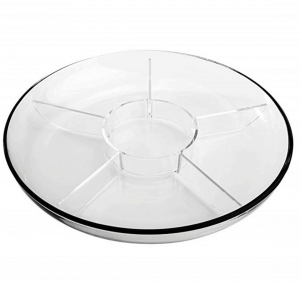 Get a large circular platter and place a small bowl for dip in the middle. Slice cucumbers and layer around the outside of the platter. Next cut your celery and layer just inside the cucumber ring. Then layer the snap peas, and then bunch the broccoli in the middle around your dip bowl. 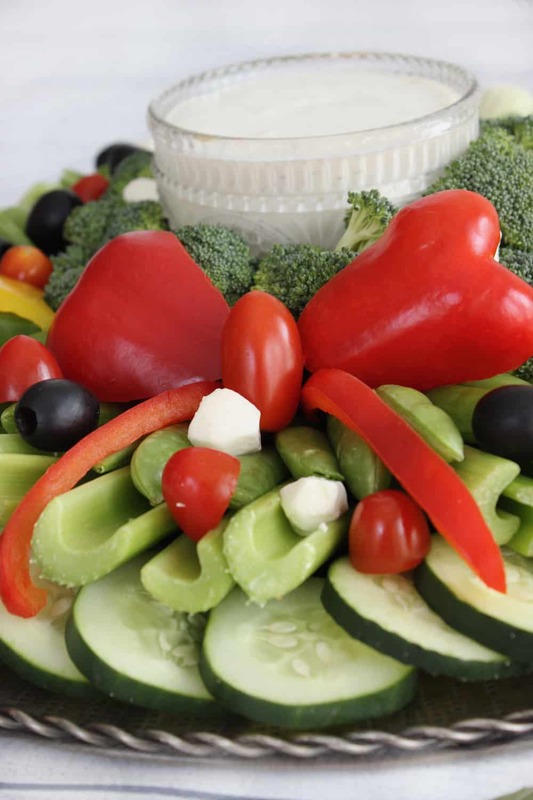 Once you have all your greenery ready, garnish with cherry tomatoes, mozzarella pearls and olives as "ornaments". Cut little stars out of your yellow peppers, and a bow out of your red pepper. I used a cherry tomato for the middle, and cut the bow shapes out of the red pepper. Use toothpicks to stick bow together if needed. If you need a good recipe for veggie dip, this healthy ranch dip or this yummy spinach dip would be great options! Pretty easy right?! 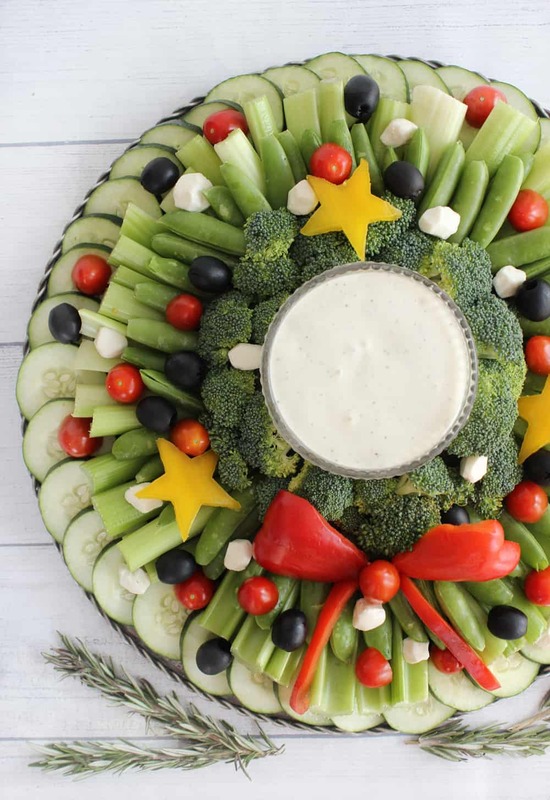 A veggie tray wreath is a great job to keep older kids busy helping while you’re cooking other dishes! Well what do you think?! Pretty fun huh? So vibrant, healthy and yummy! This looks totally awesome! Soooo pretty and festive, I love this idea, thanks for sharing! Oh wow!! This is SO fabulous!! 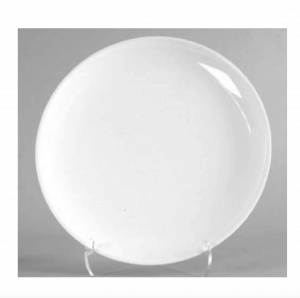 I will definitely be putting this on my holiday table!! I love how festive this is!! That bow just puts it over the top!! This is the most fun and festive recipe. 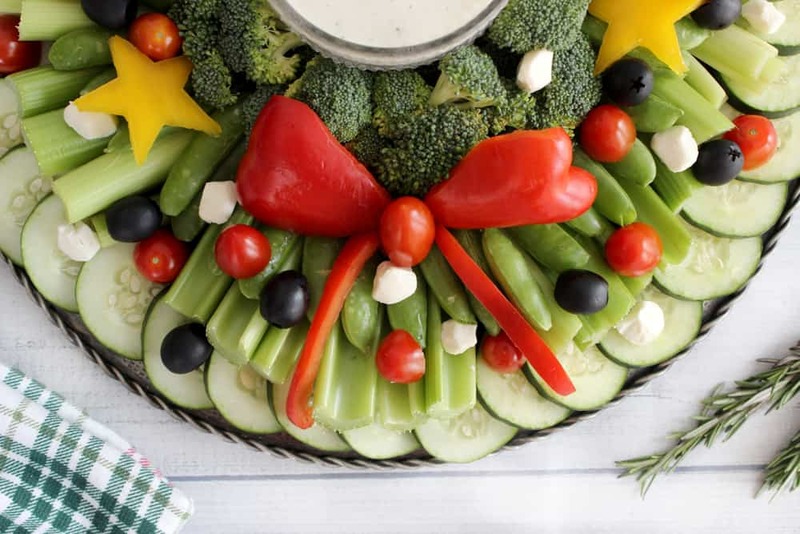 we love veggie trays and i am making this for christmas this year!